Only the most diehard football fans will remember the name Darijo Srna. Going into the World Cup in Brazil, he captains Croatia, one of the dark horse squads looking to find glory. Since 2003, Srna has played his club soccer with Ukrainian powerhouse Shakhtar Donetsk. This past season, he helped Shakhtar lift the United Supercup, while leading the competition in assists and joint top goal scorer. Srna is beloved by Shakhtar fans for his loyalty and reputation for buying match tickets and travel for orphans wishing to attend Shakhtar matches. Srna is the most capped player in Croation national team history and has represented his country at the last four major tournaments. Srna’s lethal free kick taking abilities will be on display next month in Brazil as they are virtually every year in the Champion’s League. With eight Ukrainian Premier League titles, 5 Ukrainian Cups, 5 Ukrainian Super Cups, and a UEFA Cup already on his list of honors, Srna one of the most decorated on this list. 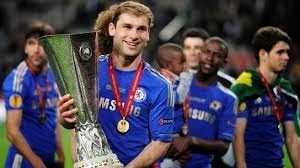 Branislav Ivanovic has been an integral part of Chelsea’s success for the past six seasons. He scored the Europa League winner against Benfica, giving Chelsea the honor of being the first club to hold simultaneous European titles. During the most recent campaign, he featured in 50 matches for the club, the most of any players. Ivanovic also scored the lone goal in Chelsea’s win over Manchester City, one of three he scored in the Premier League this season. Ivanovic has improved significantly in the attacking aspects of the game, however some of his crosses still manage to find their way into the stands. Ivanovic excels in the defensive aspects of the game as one of the most solid defenders in world football. Ivanovic also possesses spectacular aerial ability along with a penchant for the dark arts, which earned him eight yellow cards in Chelsea’s latest campaign. Unfortunately, many football fans will forever remember Ivanovic for being on the receiving end of a bite from Luis Suarez. As Manchester City’s campaign entered the final stages, many questioned whether their defense could remain strong enough to earn them the title. Zabaleta along with captain Vincent Kompany rallied the defense to hold clean sheets in three of City’s four final matches. Zabaleta put on a fantastic display that earned him man of the match honors against Aston Villa, a victory that put Manchester City into the commanding position atop the Premier League table. Like Ivanovic, Zabaleta is a player accustomed with entering the referee’s book, doing so on 11 occasions this past season. Despite being a player known to commit a lot of fouls, he has not been dismissed from a Premier League match in the last three seasons. 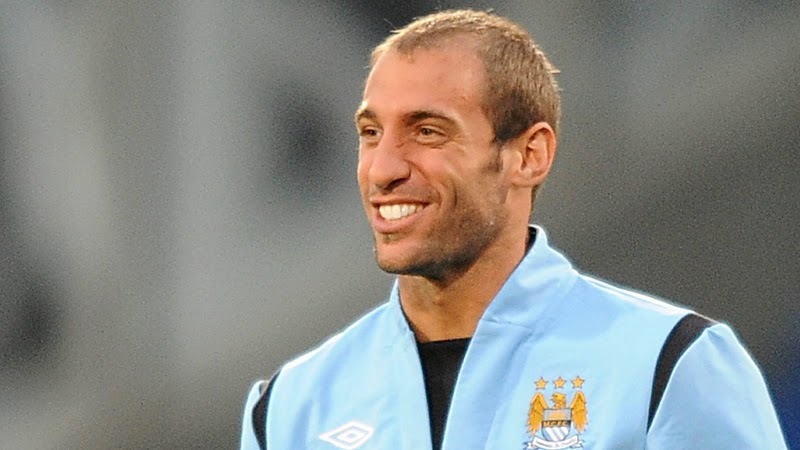 Zabaleta has also improved in the attacking phases of the game, earning six assists on the season. The Argentinian defender will feature alongside Lionel Messi next month in Brazil, determined to bring a World Cup trophy to his home nation. In last Saturday’s match against Atletico Madrid, Dani Alves worked tirelessly providing crosses and build up play to give Barcelona the La Liga crown. Despite falling short in his efforts, Alves’ crosses provided several prime scoring opportunities and he was arguably the best player on the pitch for Barca. Dani Alves had attracted international headlines earlier in the season, when confronted with a disgusting act of racism in which a banana was thrown at him. Alves picked up the banana, as planned, took a bite and then sent a corner kick into the penalty area. In a single moment he dismissed the racism and then went on lead an international campaign against racism in which he declared “we are all monkeys”. Alves aside from possessing a calm head on his shoulders, he is also an expert dribbler, passer, and free kick taker. This year he scored four goals from his right back position and was involved in the buildup of many others. This summer Dani Alves will play a major role for the Brazilian national team as they host the World Cup. He was a member of the squads that captured the last two Confederations Cups and would love to add a World Cup to his considerable list of honors. Lahm has now captured six Bundesliga titles to match six DFB Pokal trophies and Champion’s League winner’s medal. He has been in the UEFA Team of the Year four times and in 2013 earned his first selection to the FIFPro World XI. Despite being named to the last two World Cup All-Star Team, his German squad has fallen short. 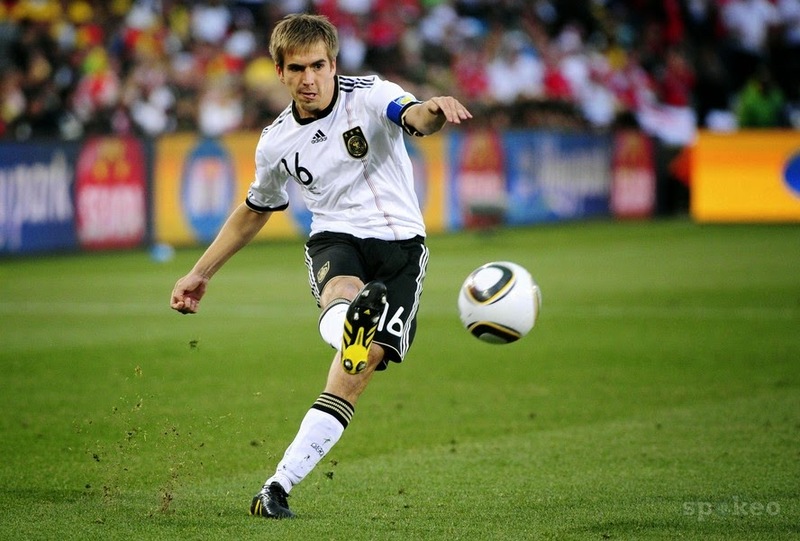 Lahm will be a crucial figure for Germany as they look to become the first European squad to lift the World Cup trophy on South American soil.